Teachers of Wisdom, an award-winning book of biographies, commentary, and quotes, with an excellent preface, introduction, and appendix, was first published in Slovenian in 2007. Notwithstanding its poor cover art and minor typographical and grammatical errors, this valuable collection pays homage to the profound truths and breathtaking wisdom of dozens of saints and sages. Igor Kononenko, who holds a doctorate in computer science, is a professor, researcher, author, and passionate student of metaphysics and spirituality and their relationship to science. Irena Kononenko, who holds degrees in languages and psychology, is a teacher, psychologist, and Bach flower essences therapist. 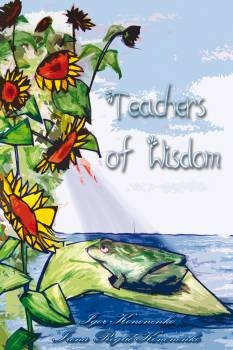 With its many hundreds of citations gathered together in one place, Teachers of Wisdom is a must-have book for anyone with a casual to all-consuming interest in spiritual matters and masters. From the well known to the obscure, each entry is a stand alone object of contemplation with the potential to guide the reader to “know the knower and all will be known,” in the words of Sri Nisargadatta Maharaj.